For over 35 years the school has developed traditions and symbols which serve to celebrate and reinforce the things we view as important. They are shared and nurtured by the school community and continue to evolve over time. Through our traditions and symbols we build the strength of our community’s spirit. 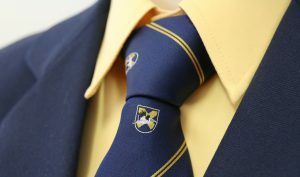 Our school motto “Semper Ulterius” – ‘Always Further’ captures the essence of the original vision for the school. The school motto is therefore recognized as one of the key elements of the foundational elements of our school’s unique culture. The Australian Pelican was selected as a suitable symbol for the school. The qualities which have enabled the pelican to thrive include: adaptability, strength and cooperation. These qualities make the pelican a thought-provoking symbol for the school. Pelicans have, since foundation, continued to regularly visit King’s Lake, the school wetlands and the local area. 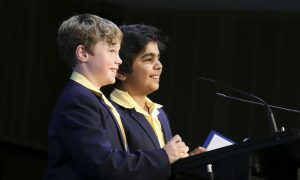 On most Fridays throughout the academic year, a full school formal assembly is held in Founders Hall commencing at 9.00am. School assemblies have become an institution in the life of the school. They celebrate and express the essence of the school’s culture. These assemblies are student focused. The vast majority of presentations are made by students. Highlights of assemblies include student musical performances, audio visual presentations and Prefect Speeches. Parents are always welcome to attend school assembly. Our House system is named after four community leaders who made a very positive contribution to the lives of others in our region. The House system is also a vehicle for engaging students in sporting and cultural activities and to promote relationships beyond the individual classroom and across year levels. 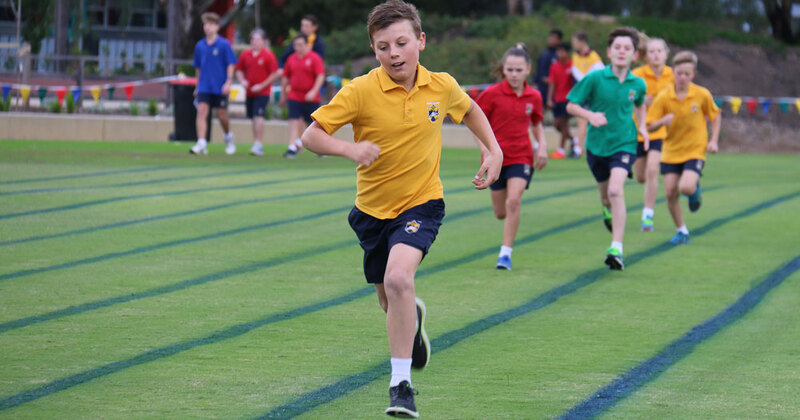 Each year major House competitions include Athletics, Swimming and Cross Country. One of the flagship events of the year is our annual House Eisteddfod Performing and Visual Arts competition. This event, while competitive, is a celebration of the performing and visual arts and is one of the most cherished days in the school year. It is an affirmation of fun, connectedness and energetic enthusiasm. Through wearing the uniform students demonstrate respect for themselves, for others and their commitment to the school community. 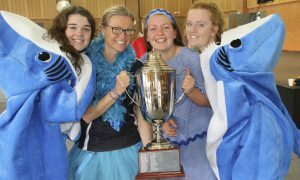 The carnivals and competitions which feature as part of the House competition are key traditions in the school’s heritage. They are events which the school greatly anticipates and they receive strong support from students, staff and parents alike. While there is a spirit of enthusiastic competition, the school encourages a sense of fun and enjoyment of these days. Students at all year levels have a wealth of opportunities to develop leadership skills through informal and formal leadership roles. The emphasis of student leadership is always the importance of service to others. The school has developed a number of signature events which celebrate and express the school’s culture. These events are important in building the school community and celebrating the qualities that we hold dear. 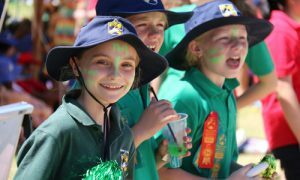 Some of these major events include the Year 5 and 6 Mother’s Day Picnic and Father’s Day Breakfast, Year 6 Graduation, House competitions, Eisteddfod, Presentation Ball, Foundation Day Concert, Presentation Evening and Valedictory Dinner.